Buckinghamshire College Group has teamed up with Tiggywinkles, the busy wildlife animal hospital, to provide Level 2 and 3 Animal Management qualifications. Tiggywinkles works tirelessly to support sick or distressed wild animals. They treat over 10,000 wild animal casualties every year, and so the practical skills you will gain alongside your qualification means the vast majority of students go into further education or gain employment within this field. 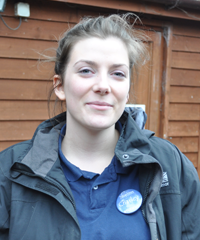 "I applied to study with Tiggy winkles as it is a more interactive way of learning and had the opportunity to work hands on with animals. I have daily responsibilities of nurturing the animals, making sure they are health, clean and fed. I get to look after lots of different animals but my favourite part is definably being able to work with deer’s. I have applied to study veteran nursing at Oxford University."